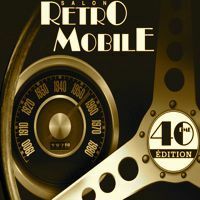 This book will take you on a journey through time with Jack Stewart’s trend setting custom 1941 Ford and its caretakers. It will bring you from sunny California to Ohio, Indiana, and in the end, all the way to Denmark. 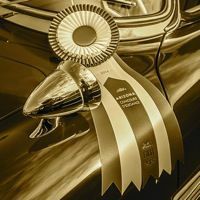 It shares all the stories of how this car was created in the late 1940’s early 1950’s, and who took part in the changes along the way. 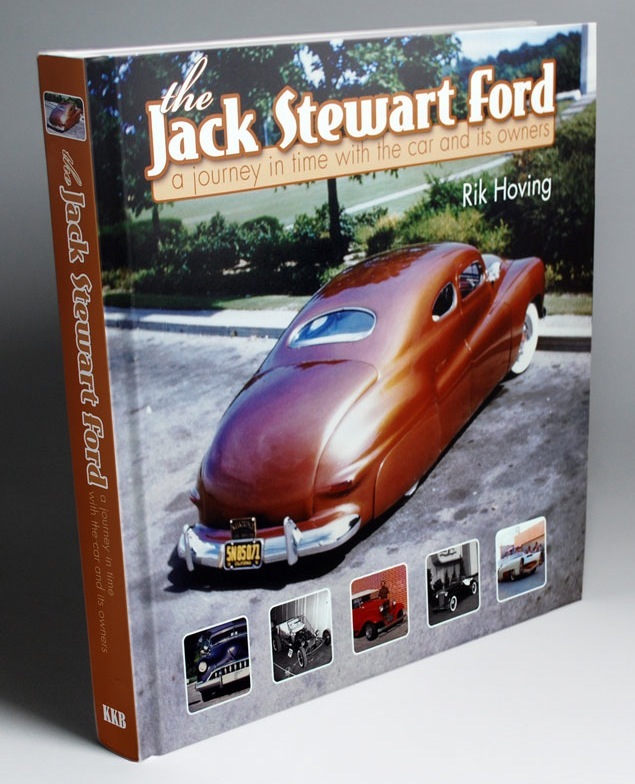 It illustrates in detail how Jack Stewart was inspired to build such a radical custom car back then, exactly how he did it, and how decades later, it was brought back to its original 1950’s version. Four different caretakers each have their own section in the book. 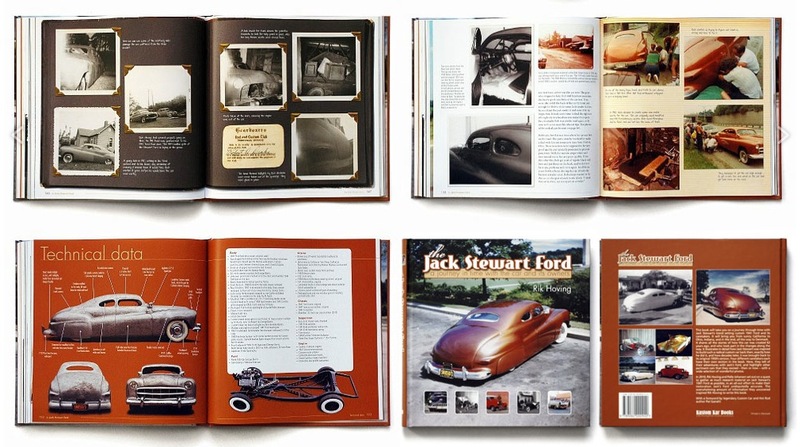 Here, they tell of their adventures with Jack’s Ford, and highlight other pertinent cars that they owned – then or now – with a wide selection of wonderful photos. 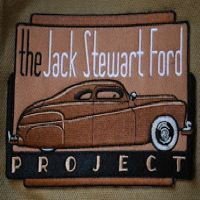 In 2010, Rik Hoving and Palle Johansen set out on a quest to gather as much research material on Jack Stewart-’s 1941 Ford as possible, in an all-out effort to make their restoration Jack’s Ford undisputedly accurate. 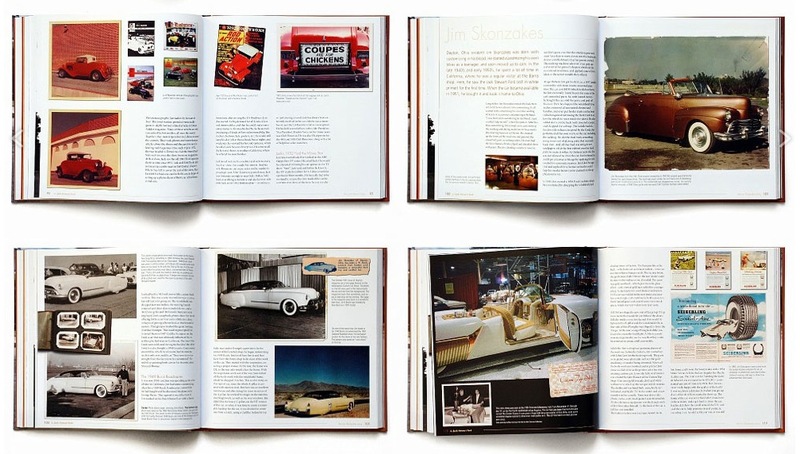 The overwhelming- amount of information they uncovered inspired Rik Hoving to write this book. 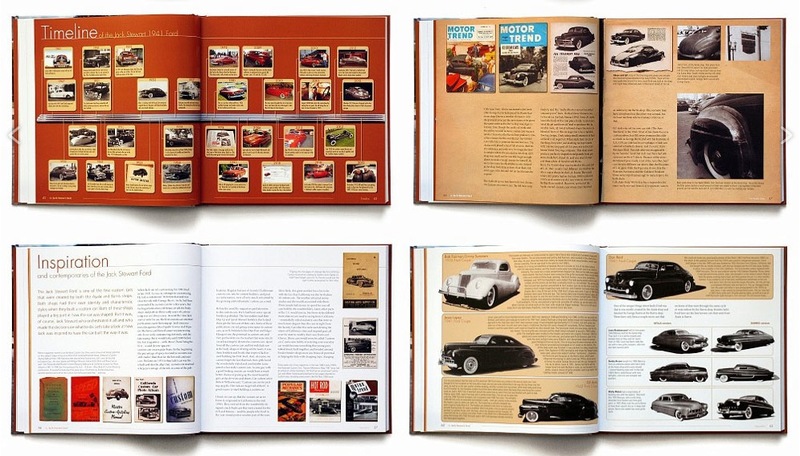 With a foreword by legendary Custom Car and Hot Rod author Pat Ganahl. Jack Stewart Ford Book, Copyright @ 2012 Rik Hoving. Buy the book : Jack Stewart Ford Book.